Whether you employ one or a thousand Canadian workers, you must understand the concept of payroll in Canada if you’re considering processing payroll on your own. Payroll in Canada can be difficult for a UK based company to figure out, but it’s your legal and financial duty as an employer to make sure it’s done right. You can’t just convert some funds into Canadian dollars and make a bank transfer. Your payroll processing must take into account federal and provincial or territorial income tax and other deductions, filing deadlines, remittances, and account registration. To get you started on the right track, here are three things that you, as the owner of a UK based company, should know about payroll in Canada. We’re going to warn you right now: dealing with the Canada Revenue Agency, the Canadian government body that deals with all things payroll, is going to be stressful. The sheer amount of paperwork you’ll have to fill out alone is going to be incredibly time consuming and complex. Everything must be filled out perfectly—no exceptions—or you could face a fine. Then, there are the remittance deadlines—the specific days that your UK based company will need to keep track of in order to send your payroll tax deductions to the government in a timely manner. If you miss a deadline, you’ll be automatically smacked with a penalty—and it can be pretty hefty. It could range from 3 to 10 percent of the interest owed depending on how late you are. And then, if you’re late a second time, you can get hit with a 20-percent penalty! When you have a lot of employees, this can hurt your bottom line considerably. Unfortunately, the CRA doesn’t care that you’re new to doing business in the country. It doesn’t care that you don’t have a handle on payroll in Canada yet. It doesn’t care why you remitted late. You’ll get a penalty. No ifs, ands, or buts about it. For almost all of your UK based company’s Canadian employees, you’ll have to deduct federal and provincial income tax, Canada Pension Plan premiums, and Employment Insurance contributions. These three withholdings are mandatory. On the other hand, voluntary deductions can also be requested. These can include employee contributions towards the cost of a retirement plan, health and dental insurance, life insurance, or child support payments. Payroll in Canada is not cut and dry. There are variations, exceptions, and maximums that you’ll have to consider when you process payroll. A company operating in the province of Ontario won’t deduct the same amount of tax from employees as a business operating in British Columbia. Even holidays and overtime pay regulations vary by province or territory—so you’ll need to get acquainted with the ones that are in effect in your location. And one employee’s deductions might not match exactly how much you deduct from the guy working next to him. For example, age makes a difference in whether or not you can deduct CPP premiums from employees, and deductions must stop after a maximum. The amount of taxable earnings an employee claims will also make a difference in how much tax you deduct. When you employ the services of an employer of record, you don’t have to try to navigate the complexities of payroll in Canada on your own. You’ll have access to hands-on experts, resources, and advice to ensure your payroll is done right, every time. 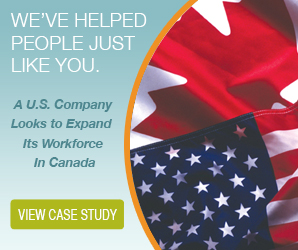 Expanding into Canada or hiring Canadian employees can be a smart move for a UK company. After all, there is no language barrier and many of the employment laws, markets, and buying behaviours are similar between the two countries. However, there is one big difference that must be accounted for: payroll. Canada has stringent and complex payroll and tax regulations, and all companies, including international employers, must follow these regulations to the letter in order to stay in compliance with Canadian law. When you hire Canadian workers, you must pay them according to the Canadian payroll and tax regulations. You cannot use the laws that apply in the UK to pay them. You also cannot skip out on deducting taxes and other mandatory contributions to save yourself the hassle of learning the ropes and following the law. Loopholes are illegal and will land you in hot water with the government—that can lead to heavy fines and penalties. Don’t try to dupe the government. Instead, learn how to pay your Canadian employees properly. Your two options are detailed below. International companies may think that it’s more convenient or cost-effective to simply handle paying Canadian employees on their own internally. Of course, this is an option, but it’s only a good option if the business owner or his accountant has the knowledge and experience that is needed to effectively work within the bounds of the Canadian payroll legislature. As we mentioned, there are great discrepancies between this legislature and that in the United Kingdom. Chances are, the employer and his staff members are only literate in the appropriate UK laws and do not know much about the nuances of Canadian payroll regulations. Without the proper knowledge, taking on this task internally will require a lot of time-consuming research in order to learn the ropes before the employer can even start to pay its workers. 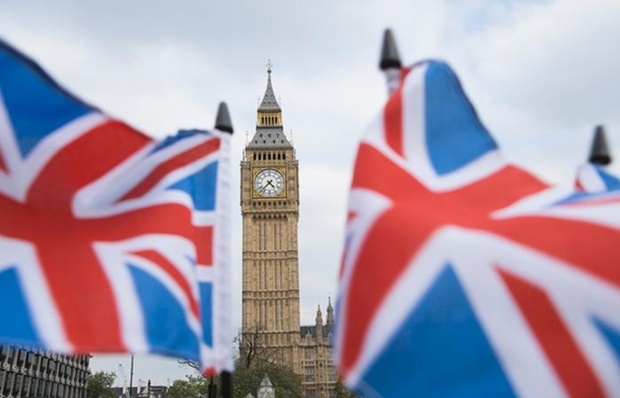 As an owner of a UK company, you may think that the Canadian government will give you a break because you’re unfamiliar with the laws of the country. However, all businesses operating in Canada must follow the same law, regardless of their familiarity of it. It is your responsibility to learn the ins and outs of the law because the government will make no allowances for mistakes made my ignorance. You will still have to pay any interest fees, fines, or penalties if you make errors while paying your Canadian employees, remitting deductions, or filing your taxes. And the chances of these errors occurring if you handle payroll internally increase significantly, especially if you don’t keep up to date with changing regulations. Instead of spending all of your time learning the Canadian tax laws and payroll regulations, keeping up with remittance deadlines, and then going through the process of paying your Canadian employees every pay period, why not outsource the responsibility? When you engage an Employer of Record to take over as the legal employer of your workers on Canadian soil, you don’t have to worry about performing any of these tasks or being noncompliant to the local laws. Your EOR will pay your workers, file the required paperwork with the government, and make sure your UK company is always following the letter of the law, so you don’t risk paying any fines. Going with an EOR is by far the safest, and least risky, option to choose in order to pay your Canadian employees. 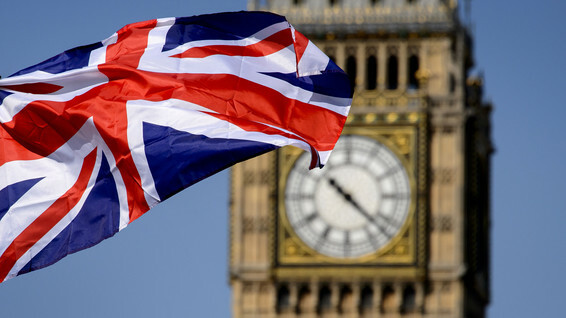 UK companies expand their business operations into Canada all the time. After all, they both share the same language and have similar consumer spending habits and incomes. However similar they may be, there are still some headaches that are to be expected. The Canadian payroll and labour laws are different, so managing the legislature and regulation requirements can be time consuming and complicated. Any wrong move can lead to heavy fines. 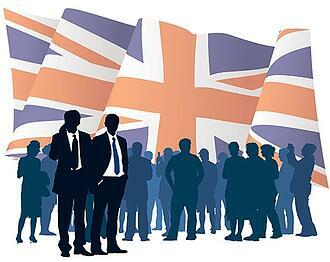 So, how can a UK company successfully expand into Canada? With an Employer of Record. When you use an EOR, you have the freedom to focus your efforts on your expansion priorities. The Employer of Record will take legal responsibility of your Canadian workers and take care of the administrative work that comes with their payroll, which includes making sure your company is compliant to all the appropriate laws. Here are a few ways an Employer of Record can help your UK company. If you want to hire Canadian employees without an Employer of Record, you’ll need to ensure that you have a full understanding of Canadian payroll tax laws and employment standards as well as establish a payroll and worker’s compensation tax accounts. You’ll have to jump through hoops just to get started. But with an EOR, you don’t have to perform any of these tasks. An Employer of Record has buying power, which means the agency can lower the costs associated with buying benefits packages and insurance coverage. You’ll also save money by reducing the unexpected hidden costs such as lawyer’s fees that are associated with onboarding and terminating employees. Your time is valuable. With an established EOR, you’ll have a lot more free time to work on more important priorities, and this freedom will also save you money in the long run. An Employer of Record will take care of your payroll, track your employees’ wages, commission, expenses, and allowances, and pay your workers like clockwork. What’s more, the EOR takes care of any HR issues that come up, which can include union matters, contract negotiations, employee onboarding and termination, and even workers’ comp and insurance claims. One of the biggest benefits of having an Employer of Record working for you is the fact that it will have experts on staff who will deal with Canadian laws and regulations. You’ll be able to eliminate any potential liabilities because the EOR knows the labour laws and occupational health and safety regulations backwards and forwards; it’s always performing its due diligence to keep up with existing laws so you don’t have to. You’ll always be compliant with an EOR. Canadian taxes are stringent. There are both federal and local tax regulations to consider when paying employees. Remittances need to be sent to the government officials regularly and an end-of-year tax return must be submitted. There is a lot of room for error when it comes to managing Canadian taxes. Luckily, your EOR is experienced and skilled to deal with all your tax requirements, so you don’t have to worry about being non-compliance due to your unfamiliarity with the tax regulations of the country. There’s no need to be bogged down by administrative details like payroll and compliance. If you’re looking to expand your UK company into Canada or if you’re just looking to hire Canadian employees, consider working with an Employer of Record so you can focus your efforts on more important tasks, all the while knowing that the small details—and your Canadian employees—are still being taken care of.